I get asked all the time if I accept quilts for long arm quilting with minky fabric for the back. The answer is a resounding YES! Minky makes the most soft and luxurious blankets. I have had very little trouble quilting minky backed quilts. 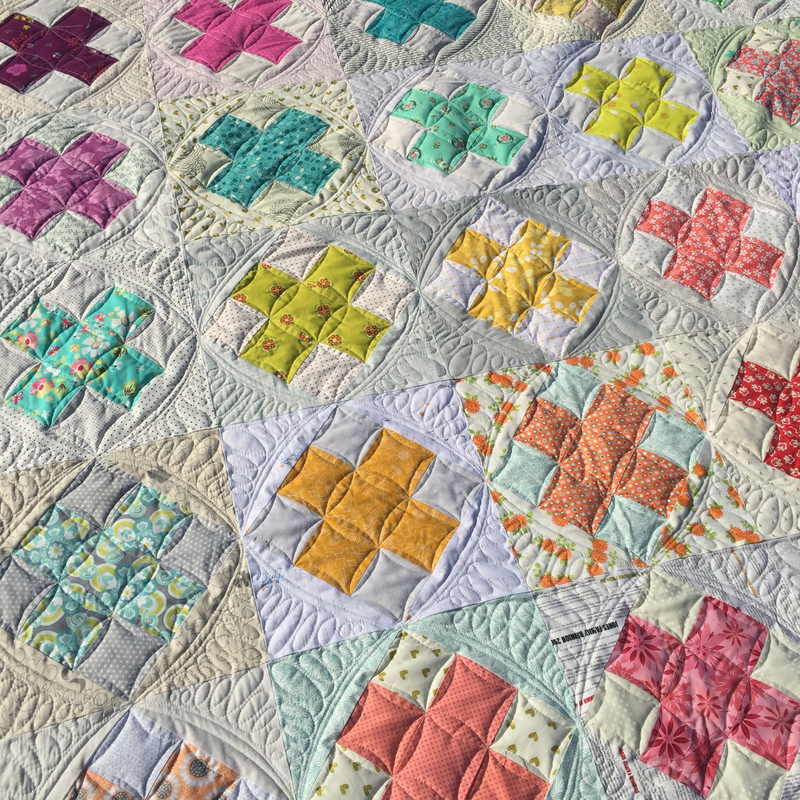 In fact, there is no reason that a quilt could not be backed with minky, and quilted on a long arm, or traditional machine for that matter, especially if the quilt maker keeps a few things in mind. 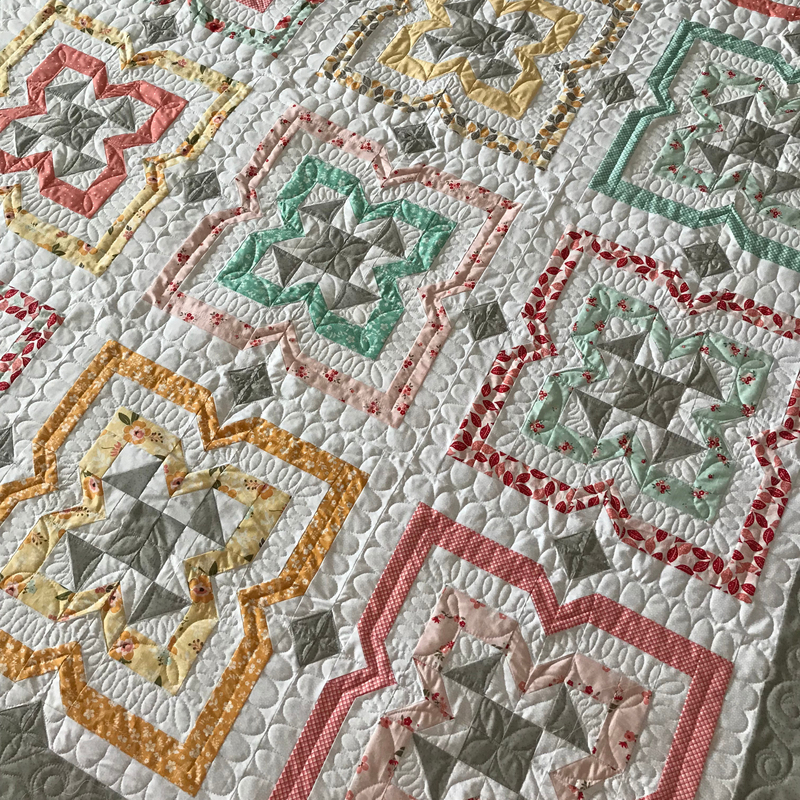 Below are my tips for choosing and working with minky as a quilt back. Choose a color of minky that closely matches the top of your quilt or matches the color of thread that will be used for quilting. Because of the length of the nap, it is common for the fiber strands to pull through the stitches to the quilt top. For instance if you have a quilt top that is mostly white and you send a black or red minky back to your quilter, and your quilter uses white thread (which she probably will) you will likely see a little black or red speck at every stitch. A long arm quilter has very little control over this happening, but I have found using a ball point needle is helpful. Winline 100% bamboo batting is my top choice for quilts with minky. It has an amazing drape and is much less stiff than the more popular 80/20 cotton/poly blend battings. This means you will not loose the cuddle factor of minky because of a stiff batting. Even with more dense quilting patterns, the bamboo batting tends to cuddle better than other battings and gets softer with every wash. I have quilted a few minky backed quilts without any batting at all. This option works too, but you may have more of an issue with fiber pull through that I mentioned earlier. Remember that minky comes in wider widths, usually 60″ and 90″. Use this to your advantage. You will likely need less yardage than you would with a cotton backing. In many cases you may avoid putting a seam in your back at all. If you do need to put a seam in your back, remember that minky has a nap. In fabrics with a pile such as velvet and minky, the fibers lay tilted in one direction. When you sew two pieces of minky together, be sure that the fibers are lined up in the same direction. If the naps are running opposite there will be a noticeable difference in color and sheen. Make sure your back is cut square. As always when a quilt is quilted on a long arm, the backing must be square for best results. Because minky is slippery it is often not cut square when you purchase it. To cut square edges, lay your minky out on a large surface such as a dining table or the floor. Match the selvedges and use a ruler with a grid and your cutting mat to cut a 90 degree angle. 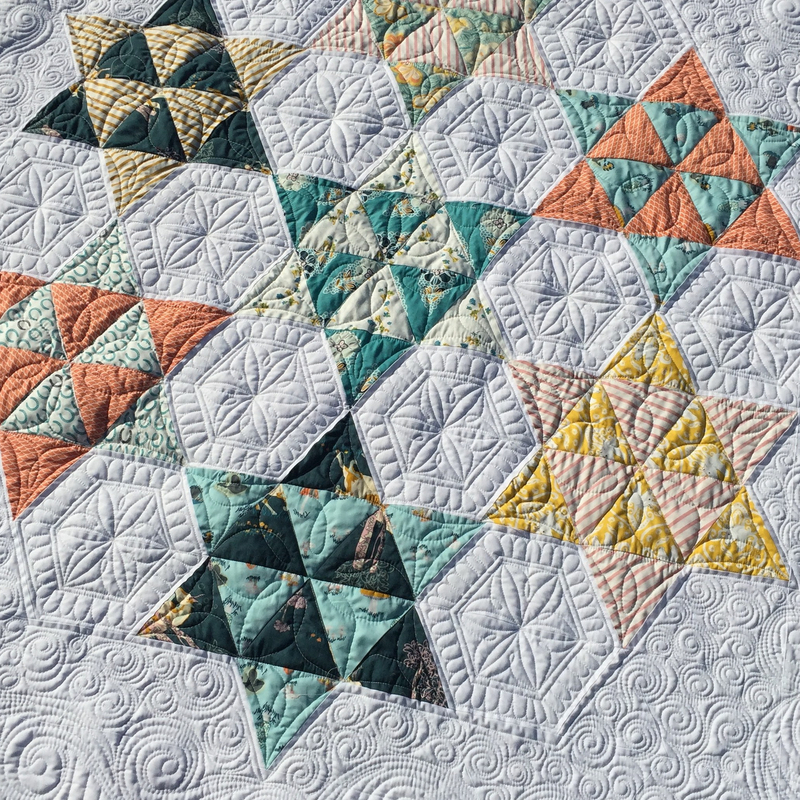 When choosing a quilt design, first consider an more open or loose design. The more dense the quilting on any quilt, the more stiff it tends to be. Keep your quilt at maximum cuddliness by quilting it a little less than a cotton backed quilt. Your minky fabric is going to shed! The loose fibers on the cut edge of minky will become loose and fall off and make a mess. Don’t worry, this only happens on the cut edge and will not continue after the initial shedding. I like to shake my minky yardage outside when I first purchase it to elimate the mess inside later. Your quilter will appreciate it if you do this too!